revealing a much more hospitable glass door. Dina Mitrani’s, one of the dozens of art galleries in the Wynwood Arts District, is dedicated to international contemporary photography, and inside the space is a group exhibit, “Freshly Squeezed,” featuring emerging local artists. Across the street, construction workers are completing a complex called the Wynwood Block, which will house retail and restaurants. Two blocks north, a Ducati motorcycle showroom opened a few months ago. The sidewalk in front is beginning to fill up with visitors, even on this steamy day. Sitting with Mitrani inside her office is her father, Eli, and mother, Aida. They all remember when Wynwood was similarly jumping in the past, albeit in a different way, and then, too, when it was decrepit and dead. Eli, a native of Cuba, and his Argentine wife, bought this warehouse row complex at 26th Street and NW 2nd Avenue back in 1975 to relocate their women’s apparel factory from downtown Miami. Back then, local apparel manufacturing and sales, retail and wholesale, was the lynchpin of the neighborhood, recalls Eli. The warehouses on this street and west to NW 5th Avenue were filled with all sorts of goods — men’s and women’s dresses and suits, shoes, handbags. Eli says that buyers for the local Burdines department store, as well as South American and Caribbean buyers, were all regulars in Wynwood, and among his own clientele. ?Dina remembers wandering around the streets as a child during the daytime with little thought to crime, fetching cafecitos for the adults when business was bustling. Grandma Mathilde handled the accounts, a brother learned Creole to facilitate interaction with the growing Haitian community, and the sprawling warehouse space was filled with rows of women’s garments. “This area was the place to shop for merchandise,” says a jovial Eli, whose store was named Mr. Eli of Miami. The Mitrani family footprint?encompasses a slice of the history?of this fascinating, erratic, and?unique neighborhood. Mirroring the?fate of textile manufacturing?around the nation, the local?industry fell into decline by the late?1980s, with work shipped off to?cheaper factories in Asia. The?Wynwood warehouses began to?empty. Racial tensions in the area?and to the west, starting after the infamous McDuffie Riots of 1980 and more upheavals in 1990, were reaching a crescendo. Miami’s drug trade added its toll. Like the Mitranis, Shelly Bloom’s family has been in the clothing business in Wynwood for decades. He remembers clearly when things started to turn ugly for sales, and for the community — the riot of 1980. The area became blighted, helped along by the cocaine and crack epidemics. By the 1990s, he recalls, most people on the street had shopping carts, but they weren’t buying goods. Still, Bloom stuck with the business, eventually finding new customers in the Haitian community. The original store is still standing. “I am the last of the Mohicans,” he says. As for the Mitranis, they kept their women’s apparel outlet open until 2000, when they were finally forced to shutter it. The area’s small houses, with their working-class occupants, for the most part remained, but business disappeared. Even so, the family held onto the property. Signs of new life slowly began to appear. Major art collectors Mera and Don Rubell and Martin Margulies, for example, opened up their private collections to the public in restored warehouses in the 1990s (in fact, the 45,000-square-foot Rubell space occupies a repurposed Drug Enforcement Administration facility on 29th Street). By 2000, several galleries took the plunge and set up shop in a still dingy and dark — literally; there were few working streetlights — neighborhood. After receiving a master’s degree in art history and working in New York, Dina Mitrani returned to Miami and saw the burgeoning possibilities of the area. In 2002 the family starting to rent out cheap studios to artists and eventually carved up the cavernous space. Dina opened her gallery in 2008, and her sister Rhonda opened up the video- focused Screening Room next door. At the corner of the Mitrani block, the well- regarded Alejandra von Hartz Gallery has been ensconced since 2006. Art began to redefine the area, especially after the arrival of Art Basel in 2002. More galleries poured into Wynwood, whose boundaries are roughly between I-95 to the west and the FEC train tracks to the east; and between 20th Street to the south and 36th Street to the north (excluding Midtown Miami). 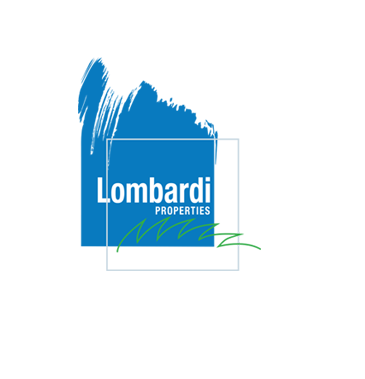 Related developments like the Wynwood Lofts from pioneering developer David Lombardi came onto the grid. And then Joey’s restaurant opened in 2008, an event almost everyone the BT interviewed identifies as a turning point. Wynwood had finally moved from off the beaten path onto the main road. Joey’s was the neighborhood’s first major new eating establishment, sitting between the Wynwood Lofts and the Mitrani warehouse on NW 2nd Avenue. The restaurant’s success also?confirmed the late Tony Goldman?as the man who would shepherd?the area into a brave new world. ?His Goldman Properties, which?owns Joey’s, had been buying up?buildings and land in the area, securing a good portion of the 25 liquor licenses allowed within the city-designated Wynwood Arts District (which Goldman initiated), and signaling that his juggernaut company would try to do for Wynwood what it had done for SoHo in Manhattan decades earlier: turn it into the hippest place, well, south of SoHo. “There was a steady trajectory happening in Wynwood,” says Brook Dorsch, who opened one of the first galleries in the area, Dorsch Gallery, in 1999. “And then came Joey’s.” After that, the energy changed, he says. Inspired by the graffiti and mural art that was proliferating on building façades, Goldman opened up the Wynwood Walls outdoor park, filled with large works from internationally acclaimed artists commissioned by him and his partner in the project, outlandish New York curator Jeffrey Deitch. They bookended the park with Joey’s at one end and Wynwood Kitchen at the other. Suddenly, not only were people appearing, they were using valet parking. But still it was hard to break a reputation as bad as the one Wynwood had developed. For many people, the enclave was too iffy to visit, filled as it was still with debris and the homeless. Combined with the financial crisis that began in 2007-2008, it was a struggle for galleries and new establishments to attract a steady clientele. The Wynwood Arts District Association (WADA) was created in 2009 by some of the neighborhood’s developers and gallery owners in an effort to change those perceptions; it concentrated on increasing security, lighting, and doing some marketing. With the popularity of Art Basel’s mainland satellite fairs, many of which took place in Wynwood, the area did start to burnish its reputation. And once the economy itself ?began to rebound, the flood gates?opened. The handful of restaurants?and bars gave way to more than a dozen by 2013, followed by retail stores and office spaces. Today there are several major condominium and apartment complexes and a boutique hotel in the works. Of course, all this comes at a price. While few want a return to the grim days of the late 1980s, some caution that the rapid and expensive development may change Wynwood’s special character. As Eli Mitrani points to the Wynwood Block across the street and speaks hopefully of the new metropolitan ambiance, he also knows it could come at the expense of the authentic and unpretentious element. Last month, the Miami Herald estimated that Wynwood lots are selling for $300 a square foot. A new property owner will likely not be able to give artists or galleries much of a deal. 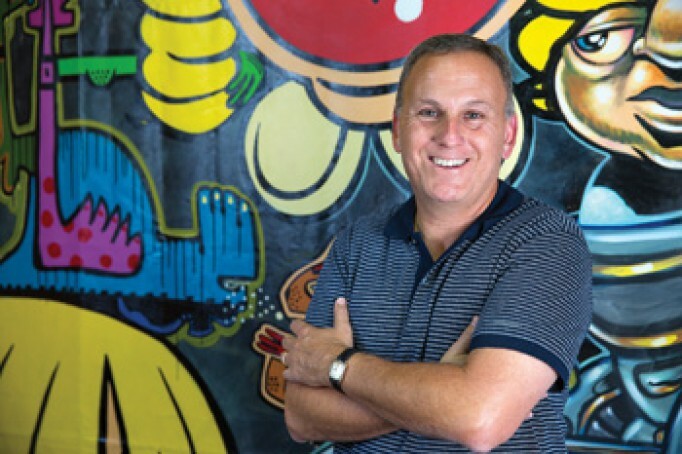 Tom Curitore, the first executive director of the Wynwood Business Improvement District (BID), began his job in March. The BID itself was formed just last year as a vehicle to raise money for improvements in the area and to lobby for business-friendly zoning and regulatory requirements. The Wynwood BID encompasses 47 blocks and includes about 200 property owners at this point. They’re assessed a tax for these improvements, which so far has added up to around $700,000. While the BID has a new office?on NW 26th Street, Curitore ?doesn’t seem to spend much time? there. He’s walking — running, ?really — around, talking to everyone he encounters. Unlike the Mitranis, Lombardi, or Dorsch, Curitore hasn’t seen the dramatic changes of the past decade. He moved from New York for this job and proclaims Wynwood to be the “most unbelievable outdoor museum in the world.” A former director of the Union Square redevelopment project and once a New York Police Department detective, he says his mission is to make Wynwood “clean and safe,” but true to its roots. To that end, the Wynwood BID has hired two people who clean the streets five days a week as “sanitation ambassadors.” While walking into one of the most recent hot spots in the neighborhood, Zak the Baker’s kosher café, Curitore explains that the association will also add trash cans, long absent, and is working on crosswalks, along with widening the sidewalks. The narrow streets can’t handle parking on both sides, so several one-way streets will be introduced in the next six months to help alleviate parking and traffic issues. After saying hello to several police officers and private security officers — these days they walk, ride bikes, and drive around in cars — Curitore points out some small but lovely green spots recently introduced along NW 2nd Avenue. One is a rock garden, courtesy of a nonprofit group. The street on which Brook Dorsch’s gallery sits (it is now known as the Emerson Dorsch Gallery), NW 24th Street, is one of those targeted for one-way traffic. Two years ago, Dorsch and his wife, Tyler Emerson, revamped the warehouse space he had purchased in 1999. Unlike gallery owners who rented, Dorsch had the advantage of knowing he wouldn’t be as vulnerable to the vagaries of property prices, and the two decided to invest in the space, and therefore the neighborhood. Instead of a protective metal- grate doorway facing the street, the stunning renovation now has a glass double-door entrance on the side of the building, facing a courtyard. It doesn’t look like a place that would close up shop on the spur of the moment. “That was the biggest chance,” says Dorsch, “wondering if people would come in through the side.” But they did, he adds, because it looked like a place you could come in and really look at art — and not a dilapidated warehouse. That run-down warehouse look was an attraction back in the early 2000s, when it shouted alternative and experimental. But as the community grew and more people came, the grunge was no longer so attractive, and certainly not when visitors had to walk blocks over broken glass, when there were no trash cans, when it became difficult to park as the Second Saturday art walks took off. Dorsch’s path exemplifies the latest incarnation of Wynwood. He bought into a semi-abandoned block surrounded by crack houses, and now the block is being rezoned to accommodate a ten-fold increase in visitors. With a mural from artist Brandon Opalka covering one side of his building, Dorsch explains that he likes the singular aesthetic that grew up here, and of which he was a trend-setting leader. But he’s happy to see the increase in security, including a crackdown on graffiti tagging that he says has gotten out of control, as well as the cleaning and greening efforts. As Tyler takes over for him at the gallery, the two agree that improvements are necessary for the up-and-coming neighborhood; but they hope it doesn’t go overboard and end up looking like Brickell. With that, Dorsch says, he’s off to watch a World Cup game at Gramps across the street, a bar that, like so many others, didn’t exist here two years ago. As Curitore takes in the crowd drinking coffee on the patio at the always crowded Panther Coffee, he says there’s also a push to make the area pedestrian-friendly. More bike racks are coming, he promises, and more sidewalk space. And he adds that there’s a desire to be community-friendly as a whole. “We want to be good neighbors, work with Overtown and its residents, so we’re not all cut off from one another,” he says. Currently, an area south of NW 22th Street and NW 5th Avenue is literally barricaded off from Wynwood; it’s a relic of the riot era and a barrier that Curitore says the BID wants to have torn down. Nonetheless, the flurry of recent development can’t help but transform the nature of the neighborhood. The eight-story Wynwood 250, with up to 80 living units that is going up on NW 24th Street, and the proposed Goldman Properties’100-room boutique hotel at 27th Street, will, for better or worse, bring change. While the number of galleries?and art outlets have remained well?above 50 for years (although?individual spaces have changed?hands), in the past three years or?so, Curitore estimates, more than a?dozen restaurants and bars, 15?businesses classified as?professional services, four beauty and fitness outlets, and eight new design and retail stores have opened, although that number will change even by the end of this month, when several new complexes open. Some businesses, like Wood Tavern on NW 2nd Avenue, have become so popular it can be difficult to squeeze in on a Friday evening. There are also a growing number of new spaces categorized as “nonprofit and education.” One of these is the private Metropolitan International School of Miami, opened by Maria Padovan Kindell in 2013. A former biology teacher in Uruguay, Padovan Kindell says she had no preconceived negative notions about the area when she bought the future school building on NW 2nd Avenue. Like Curitore, she saw only a vibrant, centrally located positioning for a school oriented to a culture-related curriculum, for students from pre-school to fifth- grade. “I didn’t expect the success we’ve had in this first year,” she says. “I heard no complaints about the location.” In fact, the opposite. “The families with students here know Wynwood and appreciate what it is — slightly avant-garde.” She wants the students to experience what the neighborhood has to offer, and to take field trips to nearby cultural outlets. What she worries about isn’t crime or urban location, but that the “flavor” of an artistic Wynwood will fade with all the new development. “But that’s inevitable,” she concludes. That wistful prediction seems to be the consensus. While almost everyone wants to try and keep that flavor, they also know that districts change and nothing stands still, especially when big developers see a bull’s-eye target. But Wynwood has always been changing. Once known as the garment district or Little San Juan (owing to its early Puerto Rican population), it has never been a settled place. And there’s always been tension between arts groups and developers about the future of the area. And tension between the original residents and the recent arrivals. While Dorsch decided to plant himself in the area, another heavyweight gallery owner, David Castillo, will leave at the end of the summer.